The latest rage in college dorm and home office décor. Be the first to hang up your inspirational spirit! A classic timepiece and one of our best seller's. Make time for your college spirit! A robust manly man's watch as the name implies. View the full line of Titan options for big team pride! Color or no color...that is the question. You choose from our Competitor collection. More choices to view now for Two-Tone timepieces with and without Anochrome dial option. Start your team pride early for baby's room, pink for cancer awareness, or baby blue to match your decor. 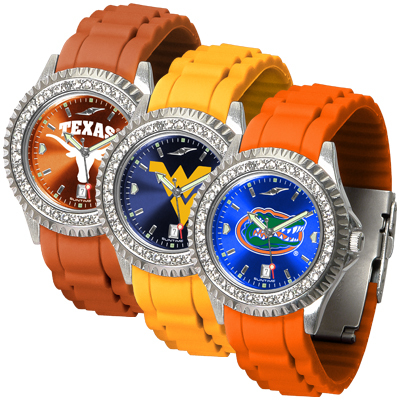 Be a tailgater by sporting a Tailgater watch from Suntime. 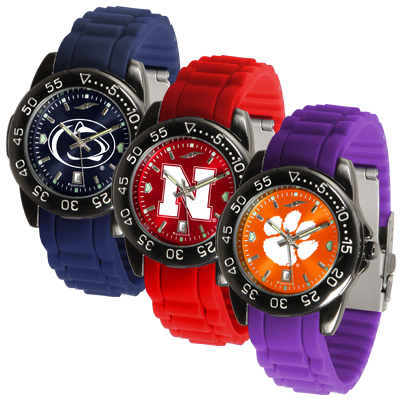 Check out the entire line of timepieces! Slam Dunk's are winners! 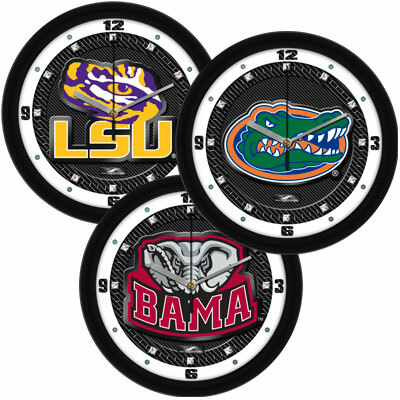 Get your collegiate team winning all the time on a colorful clock! The football helmet is a classic statement and a 'timely' way to demonstrate your team pride. It's about time! When did a bracelet become a watch with spirit too? When Suntime introduced the Eclipse to fashion conscious ladies and fans. Guess what? 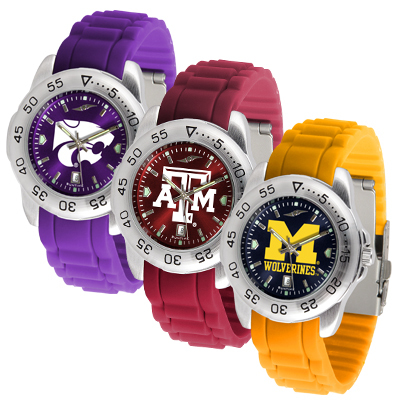 Most of your favorite colleges can sport our luminescent AnoChrome Dial Option. Check it out. 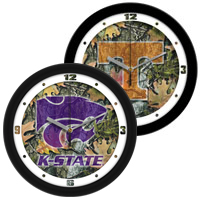 Camo is 'in' whether you want to hang it in a remote cabin, your own private trophy room or your school dorm.